Avoid cubicles at all costs. My goal was to successfully delay any possibility of returning to corporate America, and opening a gym seemed to be the biggest deviation I could take from the direction that my fellow MBA classmates seemed to be headed in. Here we are 11+ years later, and I’m realizing it would have been a good idea to put some real thought into the four words I opened this piece with as I pondered long-term objectives for my business more than a decade ago. Managing people is hard, and few of us are born with leadership skills. I’ve learned a great deal on this front since my business partner Eric became a part-time resident of both Massachusetts and Florida in 2014 when we opened our second location. At the time, I was thrust into the role of being “the guy” at our flagship facility for more than half of each year. Working long hours is a right of passage for entrepreneurs, but it isn’t expected to be so for employees. We (gym owners) rarely make our first full-time hire until we’ve got a minimum of a year of operations under our belts, and many habits are established during that first twelve months. As we quietly keep our heads down and plug away at building something special, we lose sight of the fact that it isn’t normal for everyone to answer emails at 11:30pm and lose hours of sleep mentally strategizing lead-generation strategies. Your business is your baby, not that of your employees. The sooner you come to terms with this, the sooner you’ll realize that your coaches aren’t lazy. Instead, they’re probably employees who are less motivated to grind off-hours by their hourly wage than you are by your hefty equity stake. Upside matters in employee drive, and you’re likely not delivering a whole lot of it. 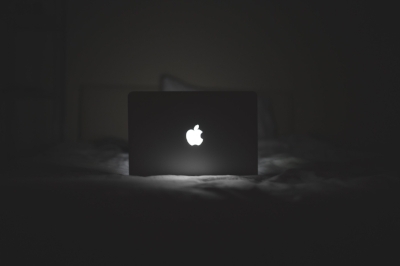 If you own a gym, late-night email is a business owner problem, not an employee expectation. Your coaches can and should be immensely productive during working hours, as that’s what they’ve signed on to do. That is, however, where you need to draw the line in your expectations. Stop expecting people without an ownership stake to act like owners, and you’ll soon realize you’ve got some quality contributors on the payroll. When my first child was born I managed to convince myself that leaving work earlier than I had in the past to make a daycare pick up prior to 6pm would be a sign of selfishness. All of my employees are going to resent me, I thought to myself. Instead, they went out of their way to compliment me on committing to work-life balance, and for demonstrating a standard that family comes first, regardless of business growth objectives. I was micromanaged in my last role prior to entering grad school. My manager genuinely cared if I was sitting in front of my computer at 9:01am instead of 9:00am, as if my contributions to the marketing department of a publicly traded company were so time-sensitive that the users of our products would be impacted 40 points of contact down the line. This is not to say that I don’t value punctuality. I do, but my experience in this environment led me to vow never to supervise in this manner if given the opportunity to manage a team. As our staff has grown at Cressey Sports Performance (CSP), I’ve stayed true to this commitment. Lunch breaks aren’t measured in length, bathroom breaks aren’t monitored, and employees are expected to understand reasonable boundaries and function within them. He wasn’t wrong in either his message or his approach. Chris was by far our longest tenured employee at the time, and had earned the right to be so direct. I’ve since built more structure into my own decision-making and leadership styles. Sometimes I need to fall back into the “because I said so” mentality, and employees are at peace with it. While mistake number two implied that the boss always knows best, the third one will show you that this approach isn’t universally applicable. When it comes to populating your training floor with competent coaches, your existing employees would love to have some say in the people that they’ll have to spend upwards of 40-hours per week with. With this in mind, taking a solo approach to making hires can result in mismatched personalities and communication styles in the gym. Can you afford to employ a team with so little chemistry that clients feel inclined to pick sides? If you have the time, freedom, and flexibility to get team members involved in the employee selection process, do it. This is why I never finalize my intern candidate pool without at least one other staff member reviewing applications, and will not execute interviews on my own. This is also why Eric and I will only interview former interns for paid roles once they’ve been nominated by current staff members as potential fits. When all is said and done, Eric and I will spend far less time working alongside our next coach than our existing ones will, so we owe it to them to provide an ownership stake in the process. No one wants to have a complex about not working as many hours as the boss. We all want to have some say in the people we’re forced to spend well over 1,000 hours of our year with.